Over 0 Google Reviews & Counting! Over 1459 Google Reviews & Counting! Find A New Car Now! Ty Freese made our recent used car purchase smooth and easy. Highly recommend. If you're considering an Acura but aren't sure if you want to drive an hour for service, just do it. 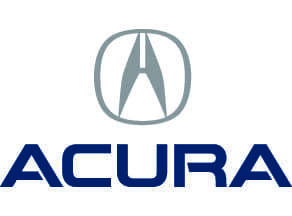 While I purchased my Acura from the dealership I work at in Fort Collins, I found it more than worth my while to drive down to Fisher Acura for my maintenance. I was greeted very professionally by their valet who took down my mileage and escorted me to the service advisors. Derek Caldwell assisted me at that point. While I did not ask for a loaner or expect one to be available, Derek courteously provided me with one without question, asking only that I bring it back with fuel in it. Upon one of my recalls taking longer than was anticipated, Derek allowed me to venture out into Boulder, bringing my car to me when the work was completed rather than me having to drive back to the dealership.While I dislike driving to Boulder for any reason, Derek and his team at Fisher Acura make the trip more than worth it. Kind staff and a wide selection of vehicles. My parents, Bob and Madelyne, founded Fisher Auto in 1968. Today it is made up of Fisher Honda and Fisher Acura and is still in the family. My sister, Lynn, and I run the dealership with my son-in-laws, Mark and Scott. Our family is looking forward to meeting you at the dealership. Stop by and see me! My office is on the showroom floor. Bob and Madelyne Fisher founded Fisher Auto in 1968. Today Fisher Auto is still in the family. Their children, Craig and Lynn, run the dealership with Craig acting as the President of Fisher Auto and Lynn as Vice President and Secretary. Serving Boulder and Denver, Fisher Auto operates much differently than most dealerships. Fisher Auto offers up-front pricing on all vehicles without any haggling. All cars also come with a Best Price Guarantee to make sure you get the best price in the area. Please call for guarantee details. Besides helping local drivers find their next vehicles and take care of their current cars at our service center, the dealership is also dedicated to giving back to the community. Fisher Auto regularly donates time and resources to many local charities and groups. Our family is looking forward to meeting you at the dealership, which is located at 6025 Arapahoe Road in Boulder, Colo. When you arrive, you’ll be greeted by a friendly member of our team who will match you up with a sales associate. In the meantime, feel free to look at our online inventory and contact us with any questions.